South Charlotte now has Carolina Express Clinic — the leading walk-in medical center near you. You will be seen 10-20 minutes after your arrival. Our clinic is staffed by experienced, fully-licensed nurse practitioners and physician assistants. Get friendly, prompt treatment for common family illnesses and injuries. Q: Where can I get medical help on the weekend? A: Carolina Express Clinic is the quickest and easiest walk-in clinic near South Park you’ll find in South Charlotte, North Carolina. We are open 7 days a week. Convenient medical care hours. No appointment needed. No appointment necessary. Just walk right in and be seen quickly. Same day health services ten to twenty minutes after you arrive. A: No, you do not need an appointment. Carolina Express Clinic is the leading walk-in medical center in the South Park and Montford area providing walk-in care right off Park Road. Walk in medical care is convenient and affordable and you do not need insurance or an appointment. Q: Is Carolina Express Clinic Near Me? A: Carolina Express Clinic is the most recognized provider of health services in Elizabeth for people who have a bad cough, flu or whose allergies are getting worse. Or maybe you have a strain or a sprain, like a sprained ankle or a twisted knee. Do you think you might have pink eye? Do you need stitches or need stitches removed? Carolina Express Clinic can take care of all of these health concerns. Minor burns can get infected, so come in right away if you have a minor burn. UTI/STD and other sexual health issues. Health management such as cholesterol, hypertension, and weight loss. Suturing & stitches for minor lacerations and wounds, burns & cuts. Coughs, sore throats, common colds, flu shots & sinus infections. Acne, rashes and other skin infections. Upset stomach, fatigue, nausea, joint pain, headaches and any common malady. Q: Does this walk-in clinic accept my insurance? A: Absolutely! Carolina Express Clinic accepts most major insurance. Your PCP co-pay or deductible usually applies. We accept most insurance, but it's not necessary to have insurance to visit Carolina Express Clinic. We work hard to keep costs down so that our community can have affordable access to health care to keep us healthy. Taking care of yourself doesn't need to take over your life or drain your bank account. Visit our walk-in clinic & you will be seen within 10-20 minutes of arriving. No more long ER waits and expensive medical bills. For minor health needs, visit us instead! 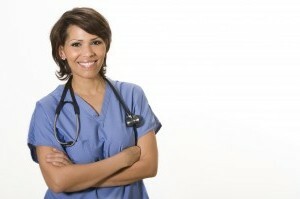 An experienced Physician Assistant or Nurse Practitioner will help you in a caring and prompt manner. We coordinate with your doctors and guide you to advanced care if you need it. We can refer you in an appropriate manner.